He uses acrylic on canvas to create a shiny lacquered surface that serves as a platform for his imitations of dirt, scribbling, spray paint, old stickers, chewing gum, and other often overlooked items. 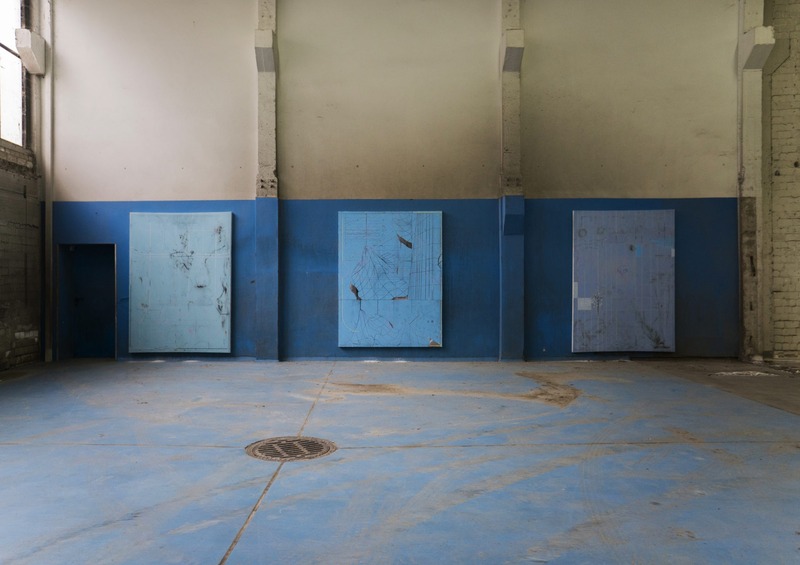 This provides the essence and shape of the artworks that form the German artist’s ongoing Stellen (Places) series, which highlights areas of our urban environment that recall underground stations and swimming halls. The works represent the man-made grids that give us the power of control and the ability to organize our lives, while making us aware of the alternative paths next to these tidy grids. Future Pyramids -00:00:00:00, Weissbach’s second exhibition at Ruttkowski;68, gallery, adds another layer to his Stellen series. This is the element of time — a concept we often take for granted, or try to stop, in our futile attempts to maintain freshness and youth. 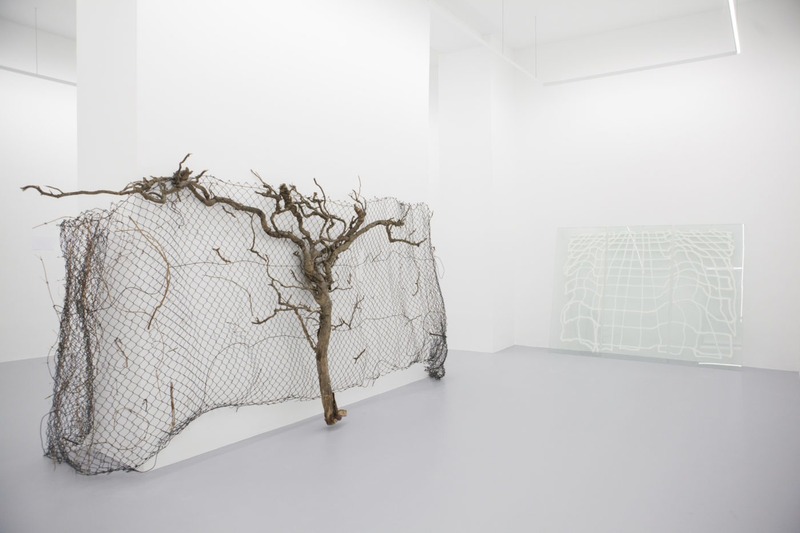 Rather than fearing its march, Weissbach purposefully imbues its presence into his works — using age to give character, substance and uniqueness to the ordinary and the unsolicited.